This chapter introduces the main question motivating the book, namely how village communities in the medieval Western Sudan emerged through interactions at local, regional, and global scales. After situating this question in a broader anthropological discourse about globalization, the chapter first traces how tropes of timelessness and powerlessness have become tied to the concept of the village, then argues for a relational perspective on the active production of time, space, and social being in such local communities. Archaeologists can mobilize this perspective through the study of materiality and space at multiple scales in and around villages—the microscale of social actors and houses, the mesoscale of regional landscapes and cultural traditions, and the macroscale of an interregional political and economic mosaic. 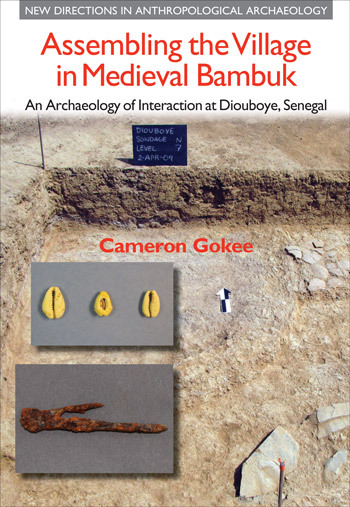 The chapter concludes by introducing a relational perspective to the historical production of community in and around the archaeological site of Diouboye, a medieval village in the gold-producing land of Bambuk.